This is book is a damming critique of our Mental Health System. Never an easy read it was still hard to put down. Pamela Burton is a barrister turned author and this, her second book, is very scary. Scary because of the truth of the tragedy, and scary because it could happen to any family today. Anthony Waterlow charming, handsome and talented came from an artistic family. He was also schizophrenic. Tormented by voices and paranoia he frequently erupted into violence. In spite of all the efforts and pleas of friends and family, he was never scheduled. Anthony simply slipped through the cracks of our Mental Health System. He refused medication for his psychosis and finally, in 2009, killed his father and sister; stabbing them to death. Burton has documented this family tragedy with great care, expertise and kindness. Nevertheless the book makes for quite terrifying reading, because one is always aware Anthony’s story is not all that unusual. In spite of being seen by many dedicated health care professionals, many schizophrenics still go undiagnosed. Burton has done a fine job in documenting the tragedy and the problems of both the family and the system. 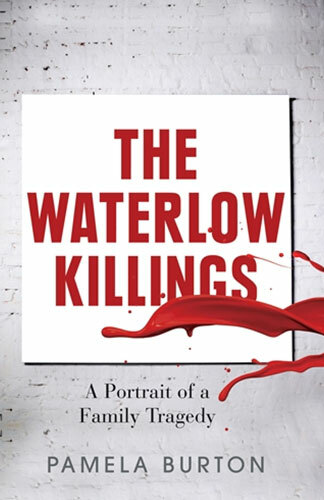 The story behind ‘the Waterlow killings’ received considerable publicity at the time, in late 2009. Nick Waterlow, an internationally acclaimed art curator, and his daughter Chloe were brutally murdered by his schizophrenic son, Anthony, in front of Chloe’s three children. It is a tale worth telling and Pamela Burton tells it well. She has searched the relevant documents, ranging from court records and accounts of police interviews to discussions with family members and colleagues, all of which she handles with sensitivity and discretion. The Waterlow Killingsis neither, however, merely entertaining nor morbidly titillating, as many such books tend to be. Its importance resides in the circumstances of the murder and their implications for public policy. Burton invites us to conclude that the crime could have/should have been foreseen and prevented. Both the reader and the protagonists, who were directly involved, can in fact ‘see it coming’ but neither could manage what could have been done. It is Burton’s achievement that the narrative is treated not as simply a record of a brutal murder but as a measure of society’s difficulty in dealing with forms of mental illness which can lead to violence.